Finally it happened!! 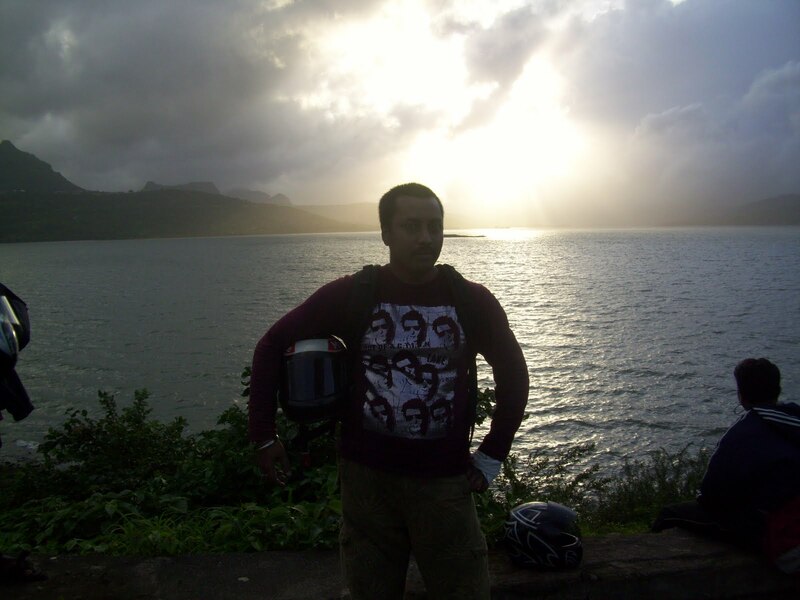 I was off to Mahabaleshwar with my family. This trip was planned in November last year but got cancelled due to unavoidable circumstances...'Har cheez ka apna time hota hai.....', I guess. After juggling of dates, I finally was able to book our office guest house, though at a price of loosing 2 extra weekdays since all weekends were already booked. Sam and Mandy had been there a couple of times, so took all and sundry inputs from them. This, by the way, was going to be a different experience from them as they are the car-wallahs, and I was not. Monday, 16th was a difficult day in office as my mind was already roaming around in Mahabaleshwar. Had booked bus tickets online for the first time, hence was a little apprehensive. Our Neeta (Volvo) darling came a good half an hour late and as usual we reached much before time at the bus stop. My nephew lips hummed only one song...'Amaader bus kokhon aashbe??' (When will our bus come??). He's goes gaga about trains and a/c buses and has his questions ready at all times... "Is this an a/c bus or saada bus, local train or engine train...". We bid adieu to my brother and sister-in-law who had come to see us off, while Salman was showing his Dabangiri inside the bus on screen. Our bus reached Mahabaleshwar by 5:00 a.m. but had to spend another good half an hour for the tax collectors to collect tax (20 bucks) from each person in every bus. Getting down at the market, showed the map to a taxi wallah, and he understood where we were headed. Mawshi at the guest house greeted us at the gates and it was a relief to hear an yes when I asked, "He Premji cha bangla aahe??". The guest house is a big one, in the middle of the forest, 3 bed rooms, a TV room, a dining room, huge kitchen ruled by Akbar, and the best part is the patio with its sofas and jhoola. The garden seemed to be well decorated by flowers of all kinds and is really well maintained. There's a glass house in front and the servants quarters behid it. It started to drizzle as we stepped inside. The first day I wanted to take it a little easy, so we ventured only to Venna lake and then to the market ahead to buy some fish. Venna Lake is a beautiful lake like most lakes are. One can horse ride on a flat land near to it...though I feel its boring since you don't trot beside its banks. Boating facility is available; row boats and paddle boats. I feel they should put some benches on the banks of the lake so that people can enjoy the calmness of the lake. There is 'PratapSingh Garden' beside the lake, where you can go for a short walk. Even in the May afternoon, a cool breeze ripppled throughout the scenery. I wanted to visit the Lingmala waterfalls but our cook assured us that it won't be worth it as there was hardly any water at the fall. Saw a giant red squirrel jumping on the trees surrounding our guest house the next day. Shot the bloody red guy on my video cam. The mornings are brought to life by the various bird calls. Its natures symphony with the trees dancing to it. Theres a particular bird, don't know which, that whistles just like we do. And the whistling is not uniform, it sounds as if it is singing some song, or calling some one. One can easily mistake it to a person whistling. 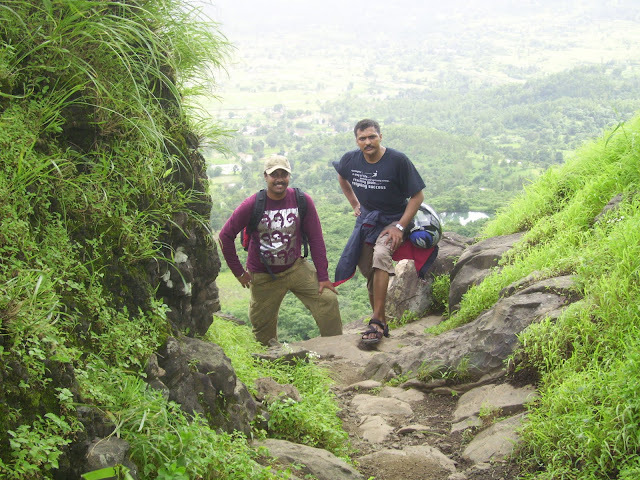 Had heard the same whistling note when we had visited Lohagad. Since we were car-less, we went to the market and took the site-seeing tour cab for Tour II viz. Lodwick point, Elephants Head point, Kates point, Echo point, Needle Hole point. Elephants Head Point, further to the Lodwick Point is a rock formation resembling the head of an elephant with its trunk giving meaning to the Needle Hole Point. You would get a better view of the Needle Hole if you walk away from the Elephants Head Point towards your left to an open and small plateau. There's a column erected in memory of Lord Lodwick who was a soldier and the first to step foot there. The Lodwick Point gives you a good view of the surrounding mountains. Saw two camels near Kates Point for a camel ride. Elephants Head, trotting horses, now camels....anyone for a game of chess?? Visited the Mapro gardens and a young boy scout gave us a guided tour of the entire place as he explained the rare species of plants and flowers and the process of growing and cultivating strawberries....Nice boy!! For those visiting such mountains for the first time, don't be too excited when your tour-wallah shows you 10-12 points on the itenary, coz most of the points are in the same vicinity of the same mountain...it's like viewing a building from all sides. Though, have to say that nature never dissapoints you, the commanding height of the mountain peak, the steep valleys below, the flowing ravines (the rivers were dry when we went...boo hoo), the clear sky, all converge to present you the beautiful paintings from the Master. The evenings we spent just pulling our chairs and sitting on the verandah and enjoying the breeze and the calmness and serenity of the place. The climate was really cool and nice, especially a relief from the Mumbai heat. 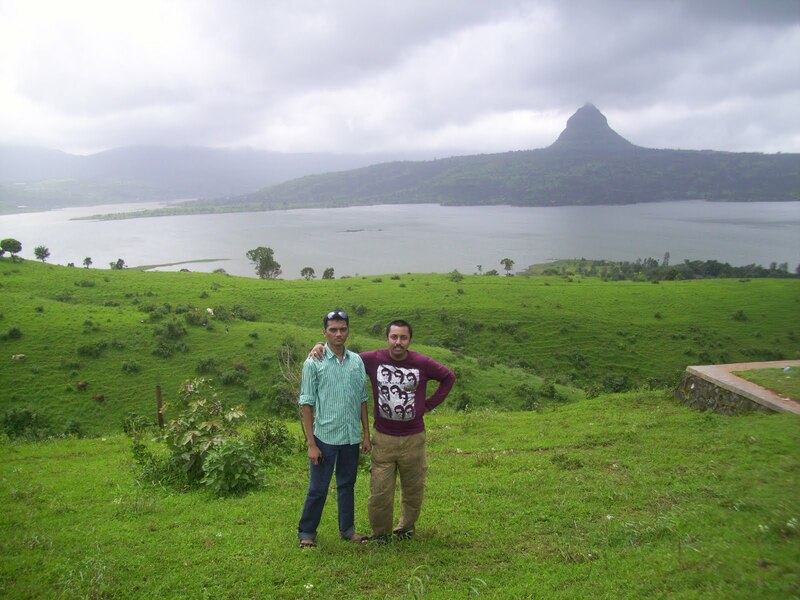 Next day, we again took the guided tour (Tour I) to Arthurs Seat, Tiger Spring, Malcolm Point, Hunting point, Castle Rock Point, Savitri Point, Marjori Point, Elphinstone point. As I mentioned before, most of the points are different angles of the same peak. 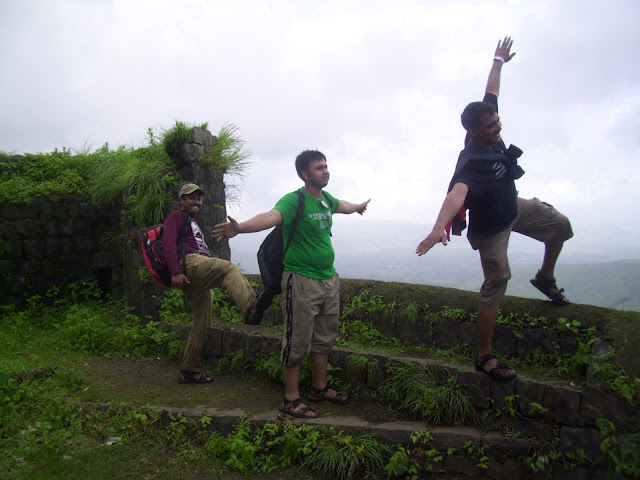 Malcolm Point, Hunters Point appear as you walk towards Arthur seat, definitely the best point in Mahabaleshwar. Tigers Spring was again a little trickle on the way to Arthurs seat, but am sure will be a site to see in and after the rains. An old woman was selling the water from the mountains...an entrepreneur in the mountains. Malcolm Point, before the steps to Tiger Spring is named after Sir John Malcolm who was one of the earlier individuals to step here. Mahabaleshwar was earlier known as Malcolm Peth. 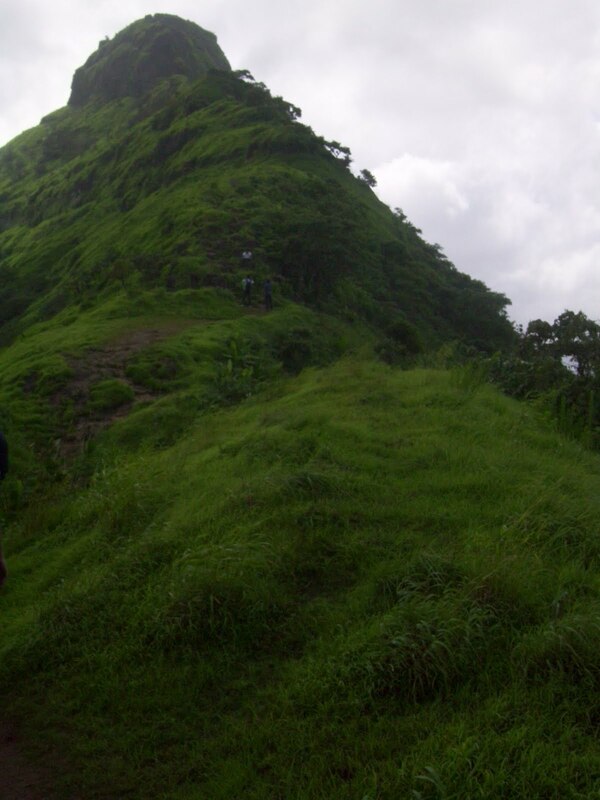 Arthurs Seat and Elphinstone point on the drive below the Arthurs seat are undoubtedly the best panoramic views that you can get in Mahabaleshwar. One can view the Savitri and the Koyna rivers on either side of the mountains and from the Elphinstone point, you can see the mighty Pratapgarh staring straight in front of you. While strolling towards the Arthurs Seat, keep watching to your left in the distance and you can see a rock formation imitating a dinosaur...believe me when I say, it DOES look like a dinosaur!! On the way back from Elphinstone Point, we went to Castle Rock Point where you actually walk the narrow path on the cliff of the mountain....whoops frightening when you see the deep gorge below. One wrong footing and you will be left to Heavens mercy. 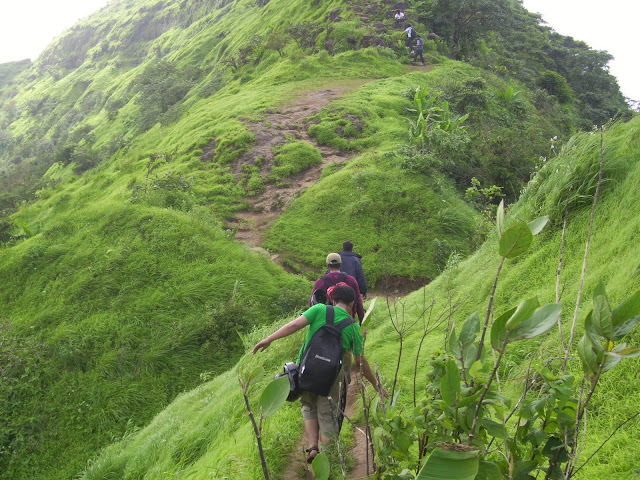 Living...err..walking on the edge, you reach the Savitri Point and take a left to reach back on the road. Marjorie point is just on the bend of the road and from here the dinosaur looks more like a turtle...need to get my eyes checked I guess!! Next we went to Old Mahabaleshwar or 'Shetra Mahabaleshwar' which is the location of the Shiv Mandir and the PanchaGanaga temple. 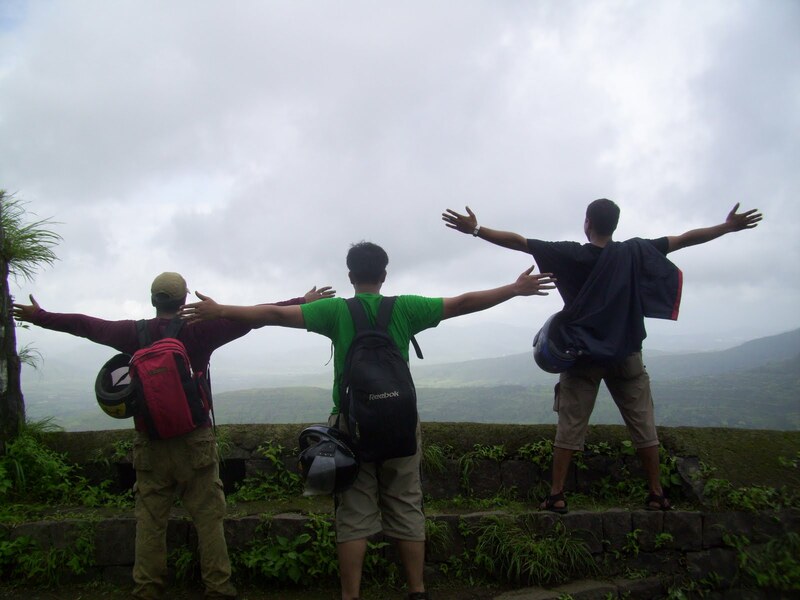 Mahabaleshwar got its name from 'Mahabali' (Lord Shiva). There is a huge Nandi on the outer temple. The PanchaGanga temple is very beautiful and is the origin of five rivers viz. Krishna, Savitri, Gayatri, Venna and Koyna. All the rivers come out of a cow’s mouth which is carved out of stone. The water was very cold and sweet. As usual some great devotees didn't deter themselves from filling Bisleri bottles with the water as others waited helplessly in line to touch the holy water. Next days visit to Pratapgarh was a dissapointment as we took the Asiad bus (Government bus) which gave us hardly one hour to visit the fort. The climb up to fort itself would take more than an hour so we satiated ourselves by reaching upto the Bhavani Mata Mandir and then walked down. However, having visited other forts, was dissapointed to walk on the tiled stairs of the Pratapgarh Fort, and I don't think it is well maintained either. Hardly saw anything on the fort due to the time constraint as the same bus was to take us back...what a bloody waste. As we waited in the bus for some of the late latifs, a couple was coochie cooing in the jungle nearby and the litle girl behind my seat started shouting from her window "Didi jaldi aao, bus nikal jaayegi"...talk about embarassment!! More than visiting the various points of Mahabaleshwar, what I really like was the weather, the calm and serene surroundings at the guest house, no cemented cardboard monsters, being in the middle of a jungle, the early morning and evening bird calls, strawberry, cabbage plantations you see everywhere and the bloody red strawberries of course. The mountains are always enticing and relaxing. Some gyaan for fellow travellers, coz an intelligent man is one who learns from his own experiences and a VERY intelligent man is one who learns from others experiences. Taking the taxi to take the guided tours are fine, but if you ask them to drop them even 2 kms away, they charge you nothing less than 200 bucks. All points have the board "Use of plastic is strictly prohibited and will defaulters will be fined". So, if you read it follow it. Enjoy the climate, the breeze, the greenery, the surroundings, enjoy everything...make it count. Be patient to get a glimpse of the different species of birds and enjoy the plethora of colorful flowers you will find everywhere. If you want to take the bus to Pratapgarh (there are nly 2 buses, one at 9:15 and the other at 9:30), reach the bus stop early for the tickets as the staff issuing tickets are the most inefficient lot. You can actually avoid the Pratapgarh tour if you don't have your own vehicle as it takes an hour each to go and come and an hour to visit the fort, which is too less a time to visit this vast fort. If you enjoy the bus ride through curvy mountain paths and fill yourselves with the scenery of the mountains and ravines below, you can hop in. I booked my bus tickets at www.redbus.in. You can also book them at www.neetabus.in. Very efficient travels. They sms you the bus details in advance.